Victor Ezenfis, Natacha Régnier, Fabrizio Rongione et al. 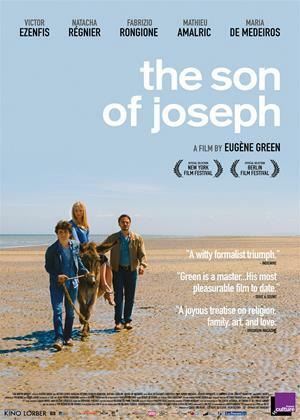 Eugène Green drops biblical motifs - Abraham and Isaac, Mary and Joseph - into this genuinely contemporary setting as if it were the most natural thing in the world, augmenting them with nods to crime films, Italian Baroque music, a Doisneau photograph, three 17th century paintings and an artificial way of speaking that is anything but current. The characters are positioned within the visual compositions and look directly into the camera, their diction flawless. Whatever needs saying - and that’s a lot - they recite impassively, in declamatory fashion. Along the way, there are jabs at the literature milieu and trendy yuppies. A film where divine seriousness rubs against bizarre comedy, where theology meets caricature, an intriguing film, anachronistic and innovative in equal measure.